The three new ZenBook series notebooks launched are UX303UB, UX305UA and Zenbook UX305CA. They run on Windows 10 measuring only 0.7-inch at its thickest point maintaining a spun metal finish like other Zenbook series devices. The ultra-portable notebook UX303UB features the latest 6th Gen Intel Core i5 processor with Skylake architecture, and is available in colour options of Smoky Brown and Icicle Gold. It features a Full HD display with a wide 170 degree viewing angle. ASUS' exclusive SonicMaster audio, which incorporates ICEpower Bang & Olufsen technology, makes provision for an immersive and delightful audio experience. 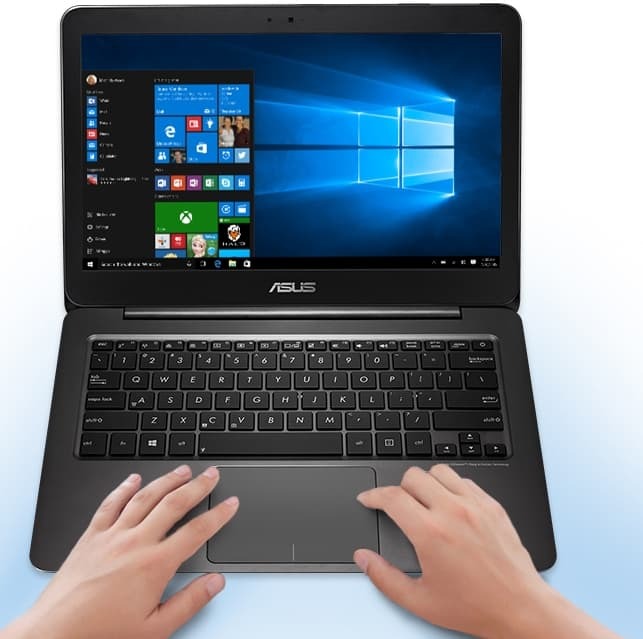 The ASUS Smart Gesture technology enables users to connect smartphone to the Notebook and use it as a second touchpad, a presenter or even as a media remote. The device further packs a NVIDIA GeForce GT940m 2GB graphics for silky smooth performance and high resolutions. To allow users a best typing experience it incorporates a backlit keyboard with ASUS ambient-light sensor technology where keyboard backlight adjusts automatically to suit the ambient lighting. Its battery life sustains up to 7 hours on a single charge.The ZenBook UX303UB is available at a starting price of Rs 71,490 for a Core i5 variant. ASUS ZenBook UX305UA will be available at a starting price of Rs.74190 for Core i5 variants. It will be available in gold and black options, powered by Intel Core i7-6500U coupled with 8GB RAM. Its 12 hour long battery life features a resolution of 3200 by 1800 pixels and pixel density of 276 pixels per inch. ZenBook UX305CA will be available at a starting price of Rs 55490 for a Core M variant across all Asus Exclusive Stories and online retailers. It is powered by Intel Core m3-6Y30 paired with 8GB RAM and available in aurora metallic, black and white variants. The battery life is upto 10 hours. The products will be available starting March 4 2016 with all the online retailers and partners.